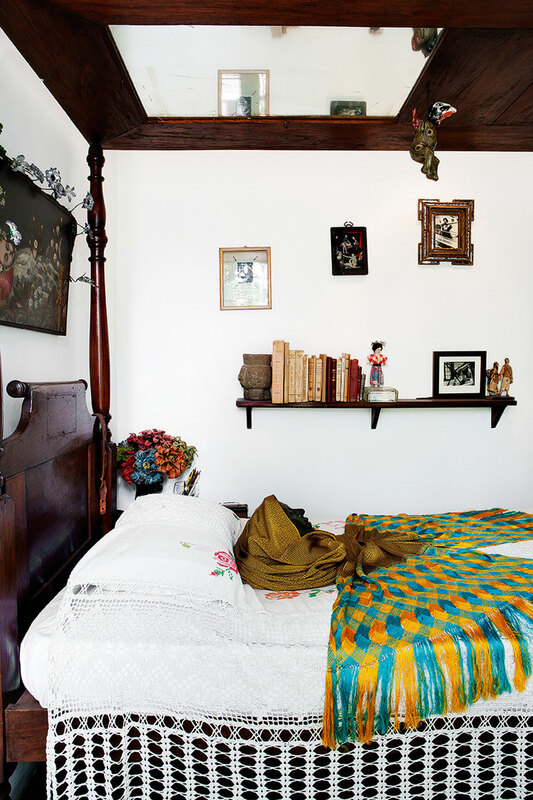 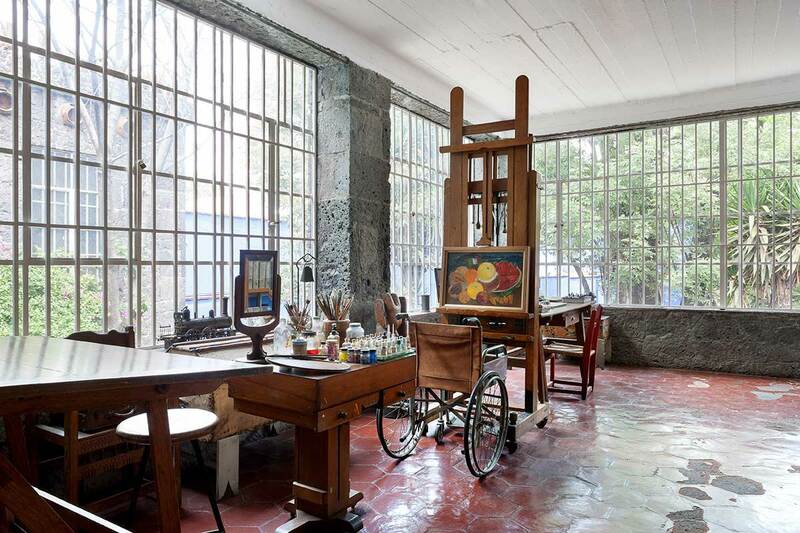 In 1929, at the age of 21, Frida married the then 46 year old Diego Rivera, the famous muralist who bought back the property. 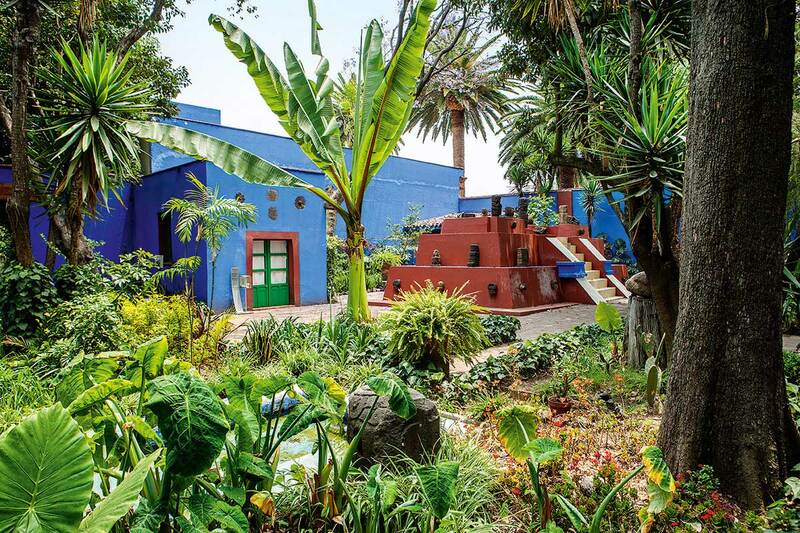 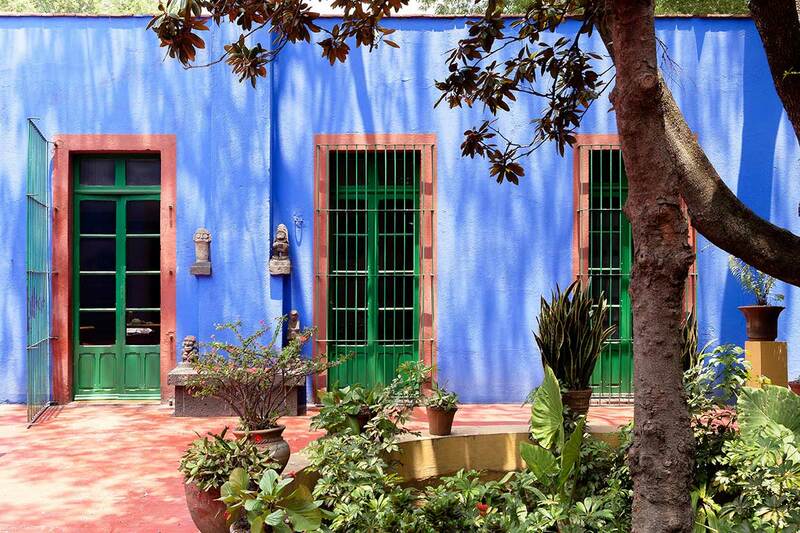 Together, with the help of political exile Leon Trotsky (who moved in for a time), they painted the famous blue house, bought more land, planted a garden and built a wall to protect their home from attack. 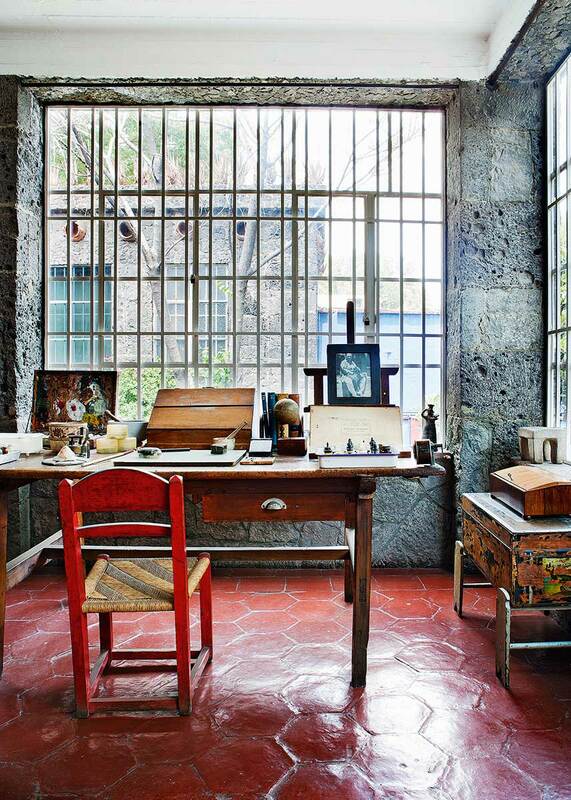 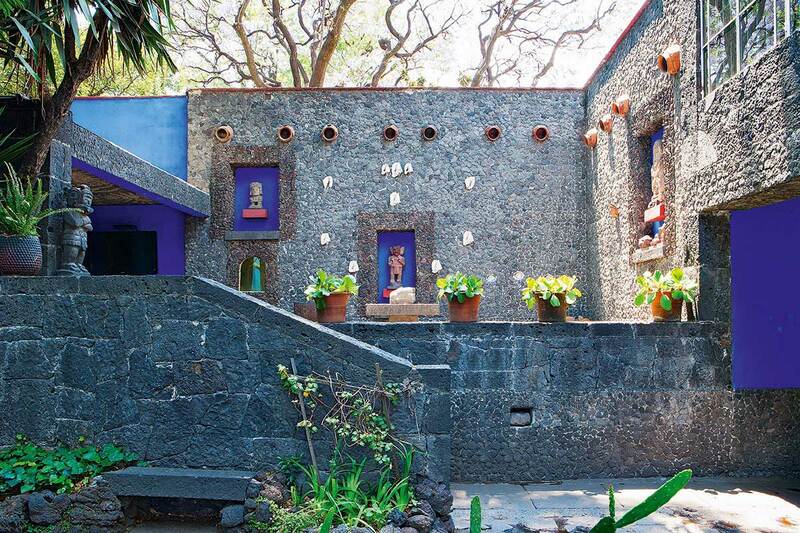 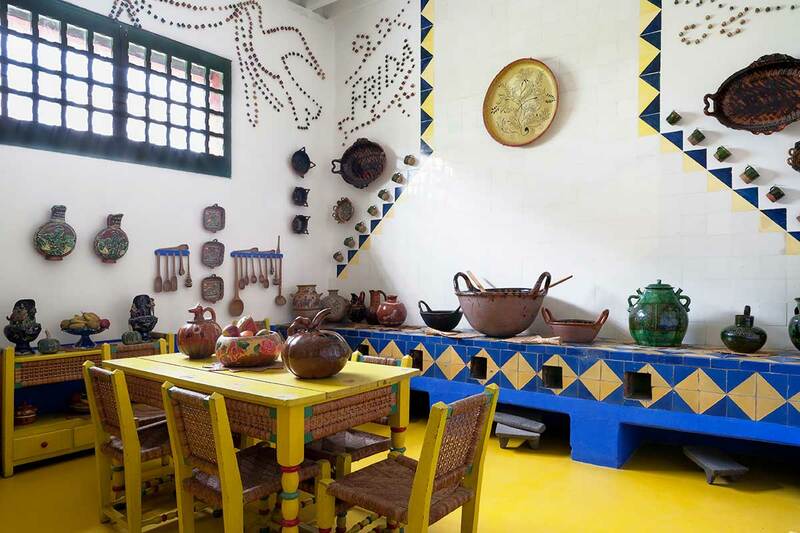 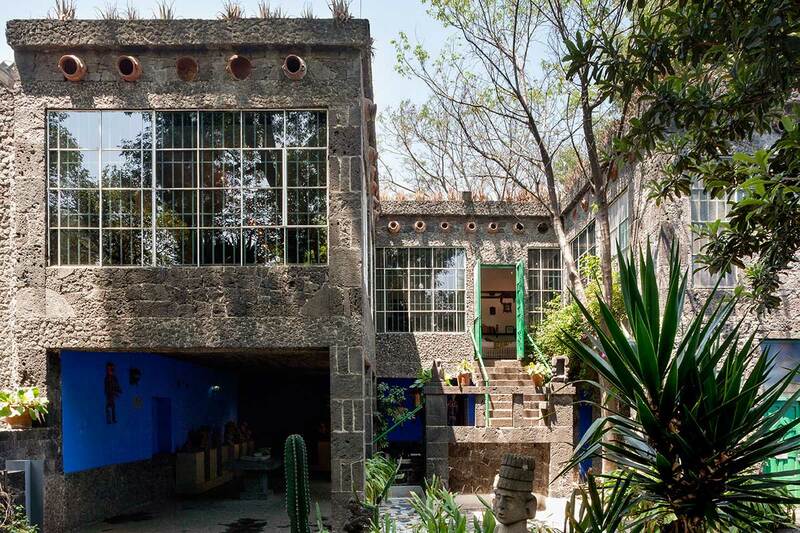 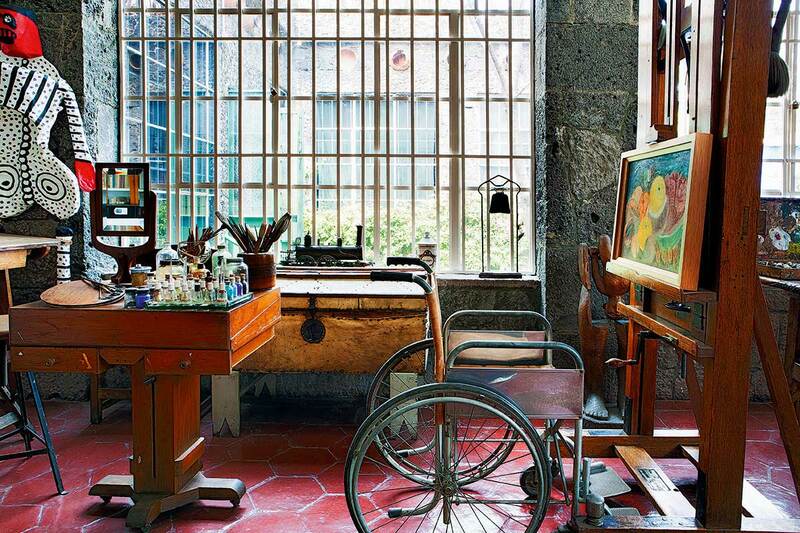 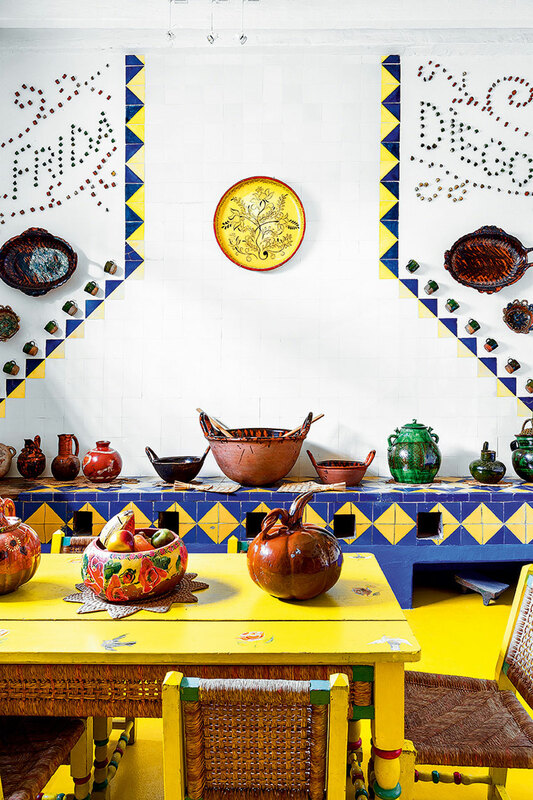 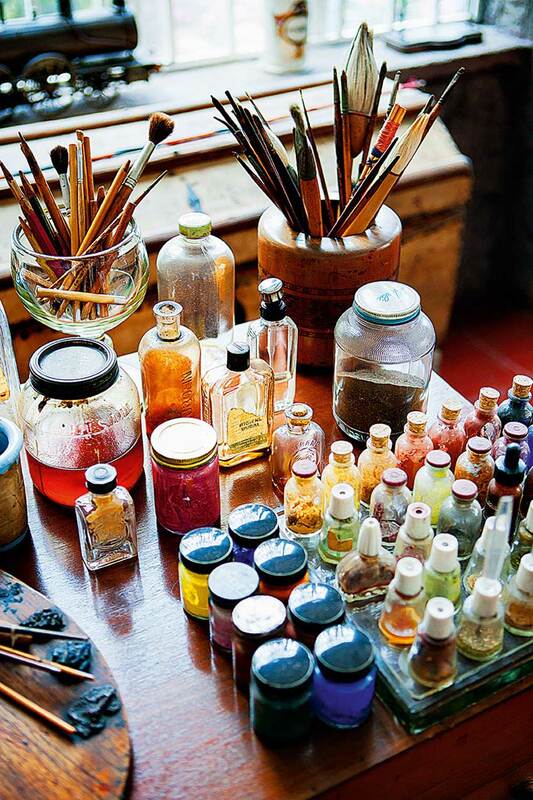 In 1946, Rivera commissioned friend and architect Juan O’Gorman to build a workshop for Frida in the old garage using local materials such as volcanic rock and basalt as used by the Aztecs in their pyramids and ceremonial structures. 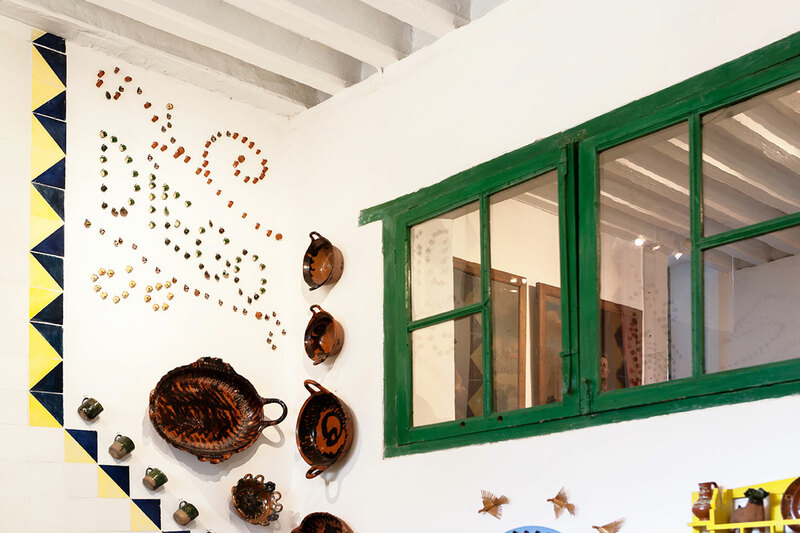 Rivera also embellished parts of the exteriors with mosaics, folk art, shells and jars filled with little treasures. 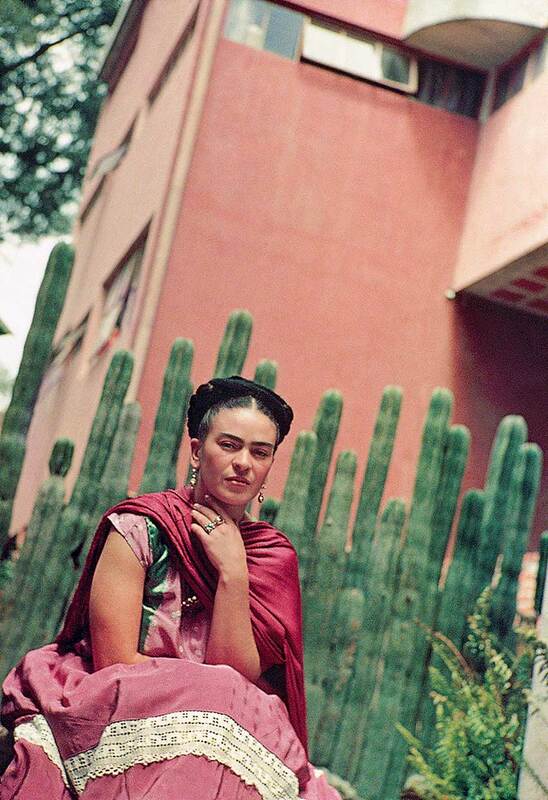 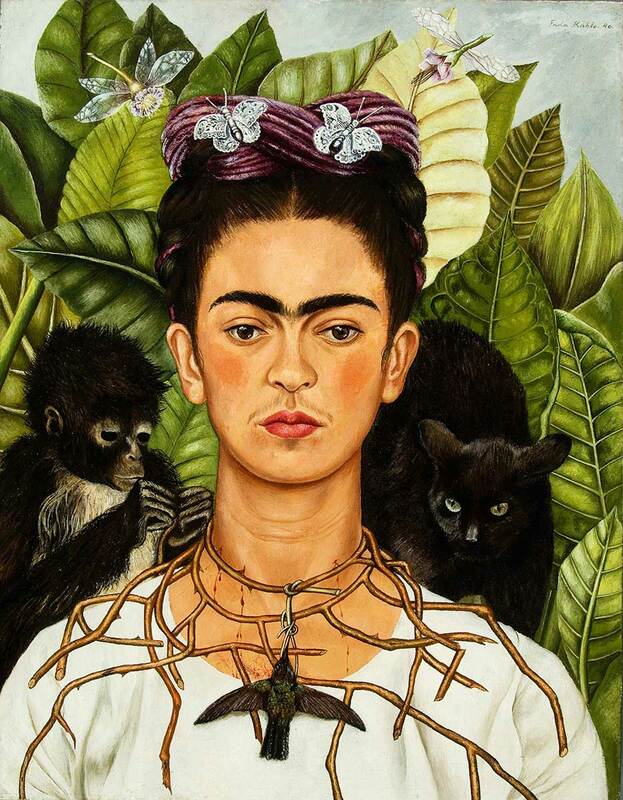 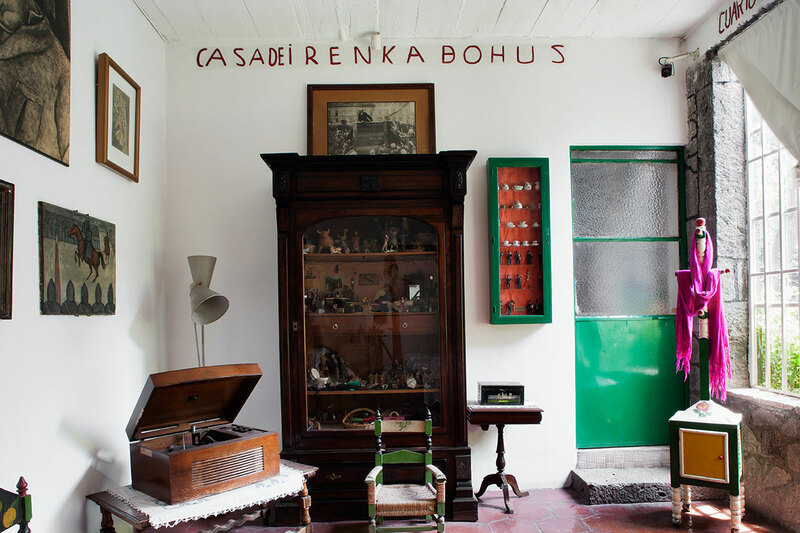 Frida loved botany, studying voraciously, and collected many local species of plants in her garden such as yuccas, cacti, jasmine and agaves that feature regularly in her work.